In this case, they didn't get access to a siren; they got access to the central command that triggers all the sirens, and were able to set them all off at once. 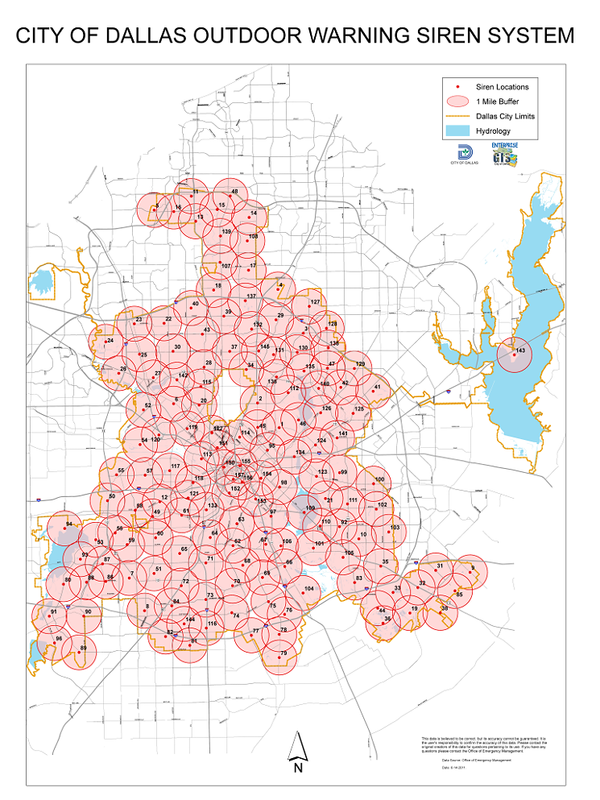 Protecting sirens should be extremely low priority -- protecting the button that triggers all of them, city-wide, at once, should be higher priority. Of course, most traffic cams and intersection cams (not to mention a growing number of traffic light grids) are networked with no encryption whatsoever, such that you just need to find a local pole and plug in to the entire network, with no authentication. Some grids also have wireless receivers hooked up, and a few, for convenience, are also connected to the Internet. At least the Internet-connected grids usually have some sort of a firewall, and some level of software security at the C&C center -- but a lot of the stuff hanging off the network is ancient and not only doesn't know about encryption, also doesn't know about safe failure, cooperative networking, or anything else beyond "when this line goes high, I turn on until this other line goes high". So again, it's not really about securing the hardware, it's about placing minimal security on the network and a whole lot of logical and physical security at the operations center.